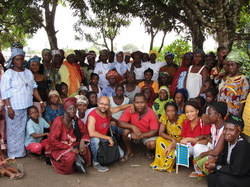 ﻿﻿You can help STOP FGM in Sierra Leone! 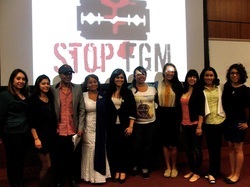 Please choose how You can best contribute to end FGM! 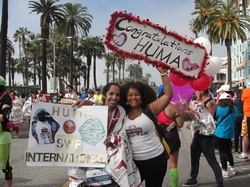 Thank You to Dr. Huma Khan for raising awareness about FGM in Sierra Leone and raising funds by running in the 2016 Los Angeles Marathon! High school and college students are encouraged to adopt one of our SWF programs as part of their club's international focus. Fundraising events on University campuses are fun and the funds donated to SWF can buy food and books. 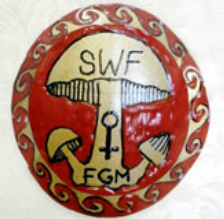 Service clubs such as Soroptimst International and Rotary adopt SWF International programs that enable our national partners continue the work to end FGM. Please email Dr. Smart to discuss the best fit for your group. Adopting our SWF Programs creates tangible results in the lives of children and women in Sierra Leone. 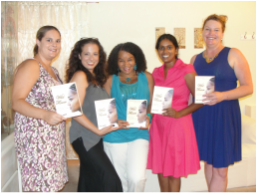 You can purchase a copy of Wild Flower and organize a group discussion about topics discussed in the book. You can also invite your book club to choose this book and invite the author for a discussion. Raising funds for SWF is easy and fun! You could also rent the movie 'Desert Flower' and learn about FGM in East Africa and how it affects the lives of women even when they are successful and living in a new culture. Intergenerational discussions on FGM prove to be key to breaking the silence on the practice and allow the local partners to engage in effective grassroots activities. Social gatherings to discuss political and cultural issues are very elaborate in Sierra Leone, and can last more than five hours. Food and drinks are essential to ensure participation. Your contribution is needed to facilitate a platform for change in remote villages where girls are at risk of FGM. Art depicting culturally sensitive interpretations of FGM proved effective in bridging the cultural differences that sometimes block conflict resolution. Artists are encouraged to create works of art that aim to facilitate peaceful and effective discussions about FGM. SWF accepts works of art like this one created by Cheryl Beychok which is included in our brochure and helps raise awaredness about this human rights violation.